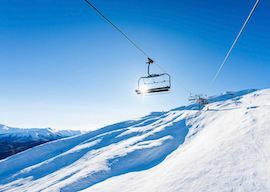 If you and your Buck are looking for the ultimate Queenstown ski and snowboarding getaway, then this is the perfect party package for you! You and your Bucks party will gain access to one of Queenstown’s most popular snow fields, Cardrona Alpine Resort, for two whole days! With transport, ski/snowboarding hire and lift passes included, the only thing you have to think about is….well nothing, really! It’s all sorted! 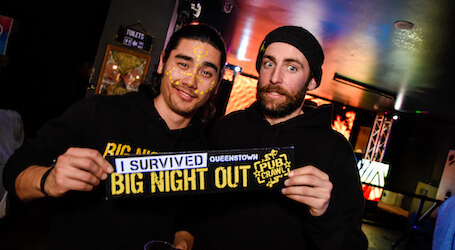 Then if you’re keen to keep the party rolling jump aboard the one and only Big Night Out Pub Crawl, Queenstown’s biggest and best party! Finishing off the weekend you will find yourself in an exclusive gentlemen’s club with gorgeous women wherever you look! 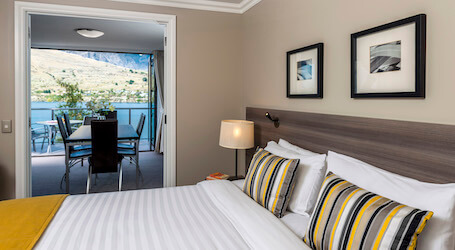 Your stay in Queenstown will leave you sleeping in comfort at one of Queenstown’s central budget accommodations. Ranked well, you and the boys will have no trouble getting a good night’s rest, when you do eventually get to bed that is! For those of you that just need a comfy spot to rest their tired head this is the place for you! 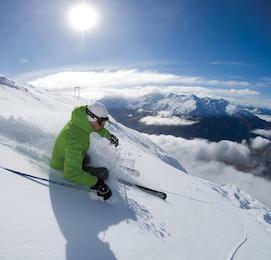 This ultimate Bucks package sends you to Cardrona Alpine Resort, visited by people all over the world. 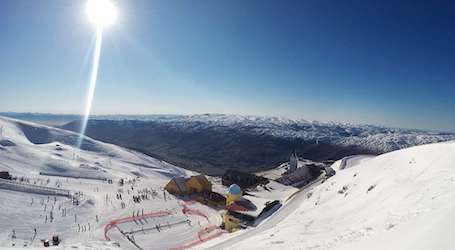 You and your Buck will enjoy 2 days on the slopes with transfers, ski or snowboard hire, and lift passes all included, so the only thing you need to worry about is you and the slopes. What trouble can you get up to all the way up there? 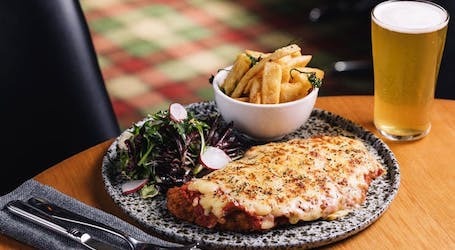 After a big day on the slopes you are going to need some yummy food to get your energy levels back up! 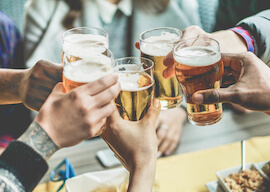 What better way than having a bite to eat at either of these 2 local hangouts. Serving the most mouth-watering food and smoothest of lagers. It’s time to sit back and chill to some awesome music before you hit the town. Get ready for the biggest party in Queenstown! You and your Buck will have special access to some of the best clubs, bars, pubs and nightclubs Queenstown has to offer all in one night. 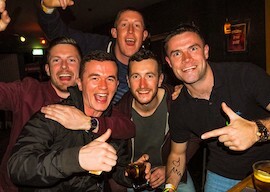 The tour operators are professional party-goers so they will definitely show you a good time! Get ready to party your face off! Then to top off the package we have exclusive access to one of Queenstown’s most exotic strip clubs. Sit back and enjoy stunning girls in exquisite outfits, dancing in front of you on stage, for your eyes only! The Buck will get special treatment, as it’s his last night of freedom!